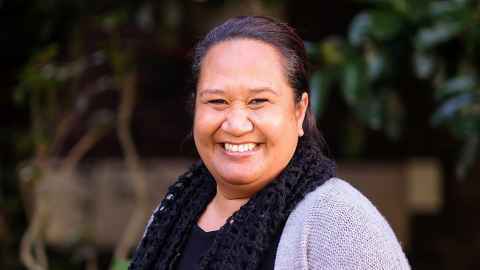 After graduating with a Master of Educational Leadership in 2015, Melini Fasavalu is now a deputy principal at Wiri Central Primary School in South Auckland. “My thesis looked at the educational success of nine Samoan high school graduates aged between 18 and 22. Although my supervisor was based at Epsom Campus I went to a postgraduate writing group at Manukau Campus. “The convenience to home was great but also the company. Completing a thesis can be a lonely journey because you have no classmates so building relationships with other postgraduate students at the writing group was really helpful in my study. We were able to give each other feedback on our respective study and share the pitfalls and triumphs inherent in studying. “I am now the deputy principal of Wiri Central Primary School and I am working at using what I have learned through my research with my own staff so we can be more culturally responsive with the students and aiga at our school.